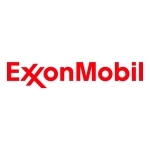 IRVING, Texas–(BUSINESS WIRE)–Exxon Mobil Corporation (NYSE:XOM) announced today the election of Dr. Susan K. Avery to its board of directors, effective February 1, 2017. Avery, an atmospheric scientist, is the former president and director of the Woods Hole Oceanographic Institution. With the election of Avery, the ExxonMobil board stands at 13 directors, 12 of whom are non-employee directors. Avery’s leadership experience in multiple academic and scientific organizations, coupled with her breadth of scientific and research expertise, reinforce the corporation’s long-standing technical and scientific foundation. She served as president and director of the Woods Hole Oceanographic Institution from 2008 to 2015, and was the first woman and the first atmospheric scientist to hold the position. Avery served as interim dean of the graduate school and vice chancellor for research, and interim provost and executive vice chancellor for academic affairs from 2004 to 2008 at the University of Colorado Boulder. From 1994 to 2004, Avery served as director of the Cooperative Institute for Research in Environmental Sciences, a collaboration between the University of Colorado Boulder and the National Oceanic and Atmospheric Administration (NOAA). In 2013, Avery was named to the Scientific Advisory Board of the United Nations Secretary-General, which provides advice on science, technology and innovation for sustainable development. She also serves on the National Research Council Global Change Research Program Advisory Committee, participates on advisory committees with NASA, NOAA, the National Science Foundation, and the National Park System and worked with the Climate Change Science Program from 2003-2004. During her career, Avery authored or co-authored more than 80 peer-reviewed articles on atmospheric dynamics and variability. Avery earned a bachelor’s degree in physics from Michigan State University, and a master’s in physics and Ph.D. in atmospheric science from the University of Illinois Urbana–Champaign.